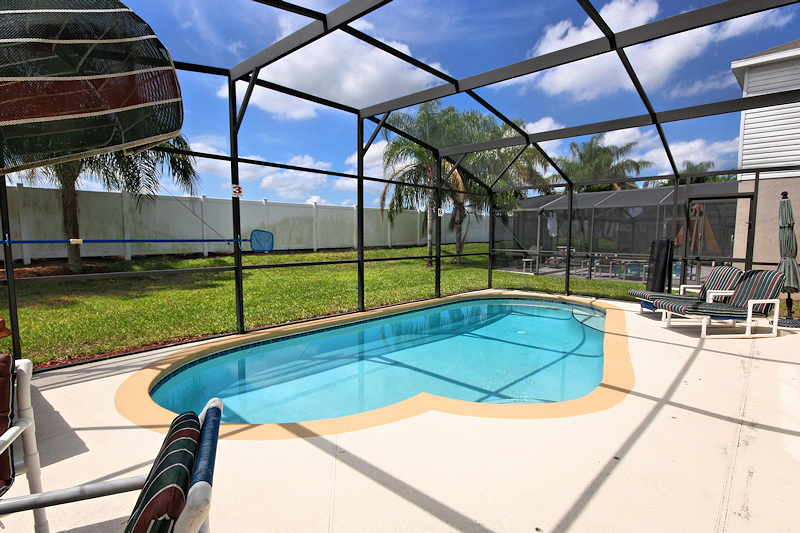 This immaculately presented 6 Bed 4 Bath Villa with lots of upgrades. 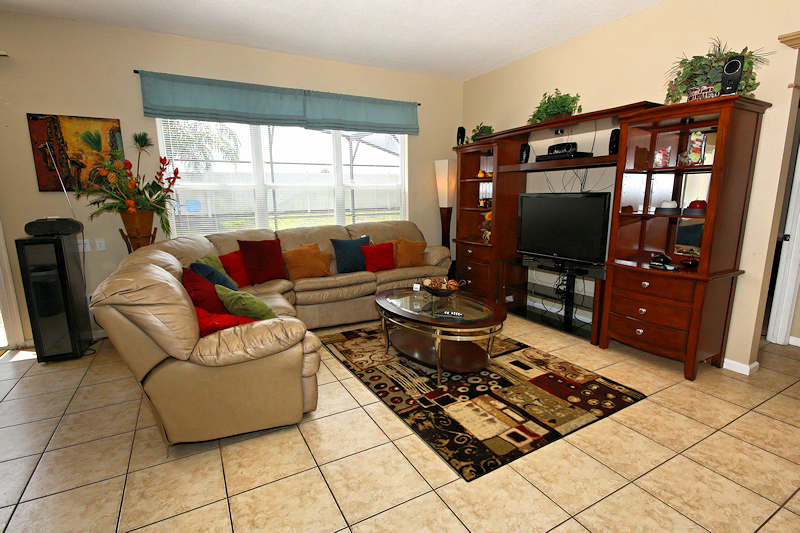 Luxurious furnishings throughout, This home is located so close to Disney and you'll think you need a Park Pass! Less than 2 miles and only 5 minutes away! 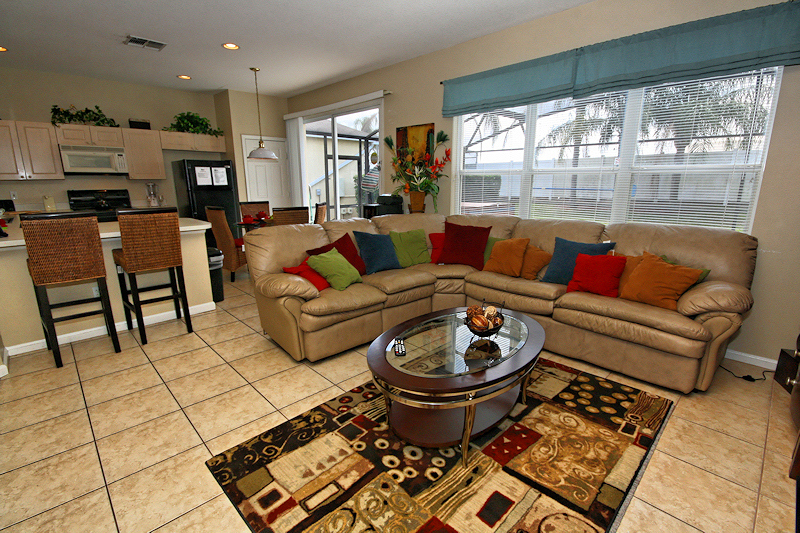 This 6 bedroom vacation resort home has the features that experienced visitors require. and just 2 minutes drive to a great selection of restaurants and shops, Windsor Palms offers a haven of peace and tranquility during your stay. 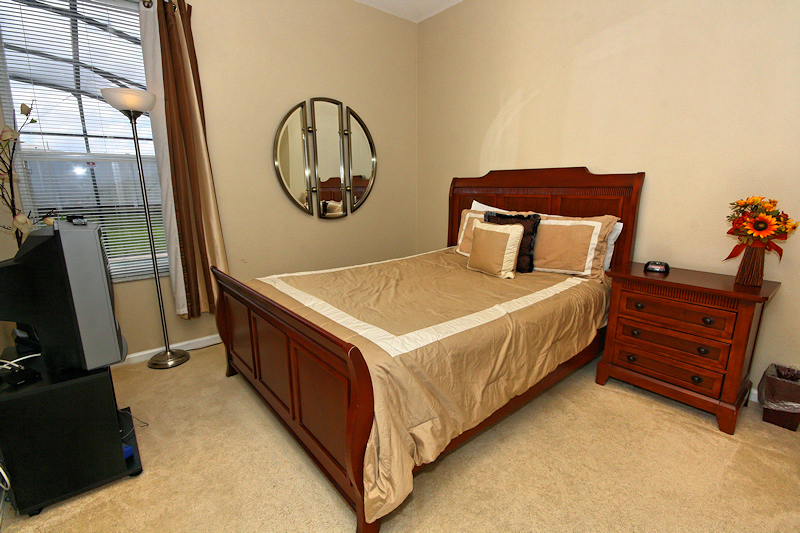 This 6 Bedroom 4 Bathroom Executive home is fully equipped for your complete comfort. The clubhouse, movie theater, gaming arcade, fitness center, tennis, basketball courts and childrens play area are just s short stroll from your front door. 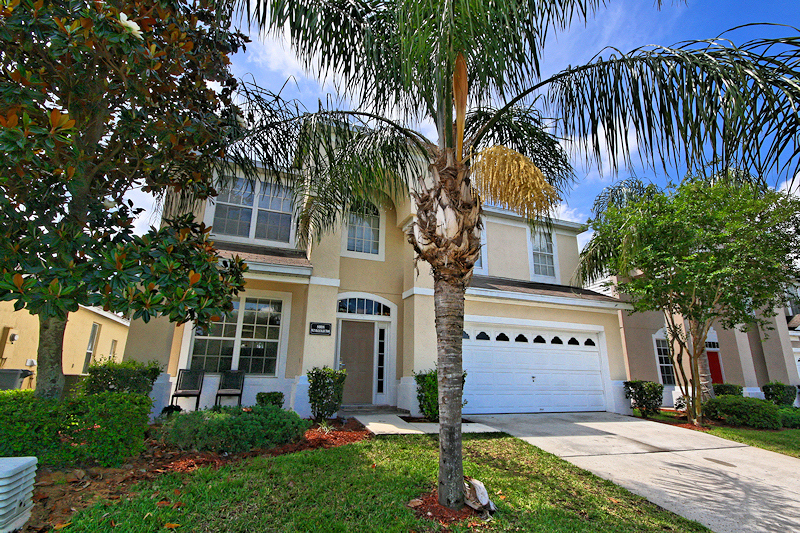 This luxuriously spacious two storey executive home is one of very few of this size on Windsor Palms. The open plan layout, contemporary furnishings and cool ceramic tiled floors create a luxury ambience from the moment you enter the home. A formal lounge and dining area at the front of the home is ideal for taking time out to watch TV, enjoy a good book or enjoying dinner with family and friends. To the rear of the ground floor the family room, open plan kitchen, breakfast bar and casual dining area have direct access to the deck and pool area. 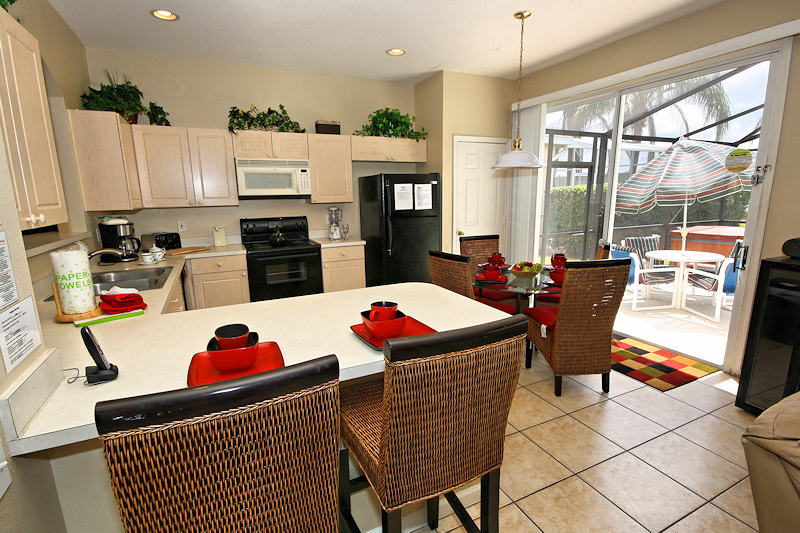 The kitchen is fully equipped to make easy work of catering to your entire party. 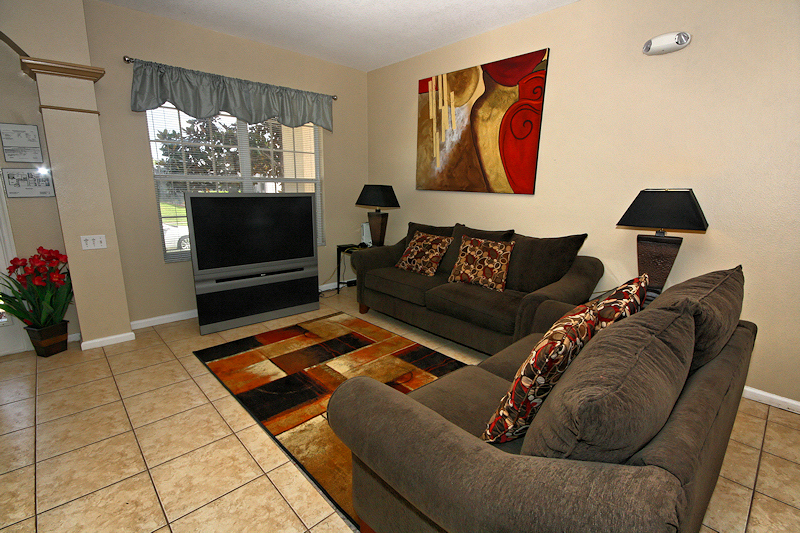 The large, comfortable L shape sofa is a great place to kick back and relax with family and friends after a busy day at the parks or on the golf course. 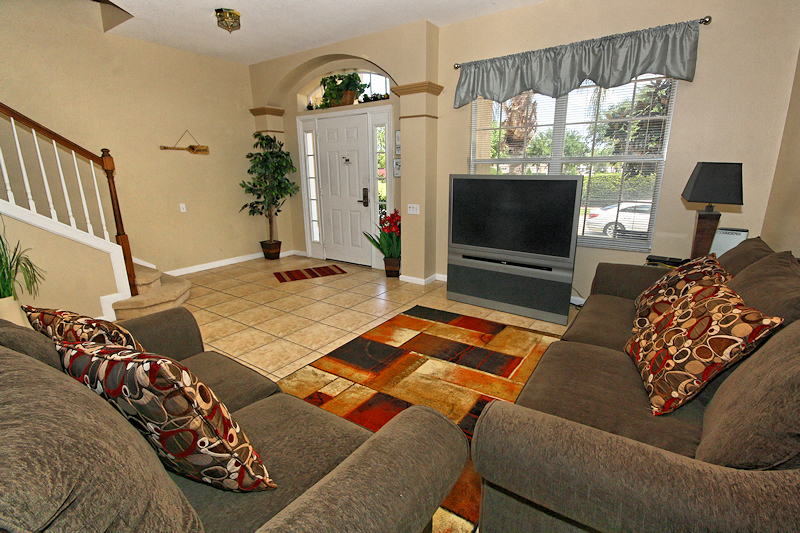 Enjoy the wide screen TV, DVD player, music system and complimentary WiFi internet access. 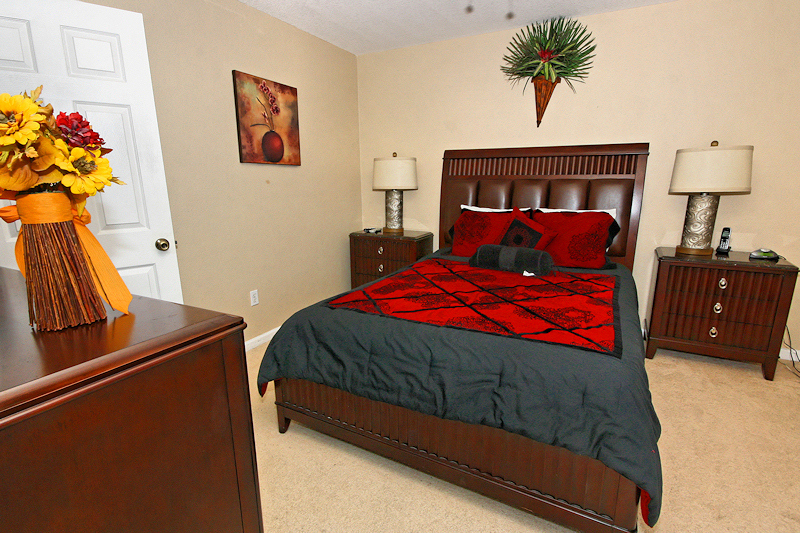 The first of the six bedrooms is located on the ground floor, featuring a Queen Size mahogony bed and cable TV. 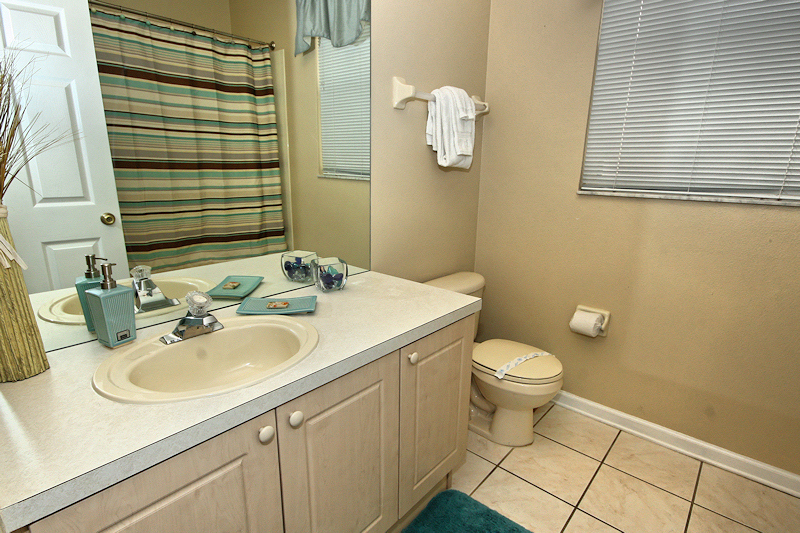 A guest bathroom is immediatley adjacent. 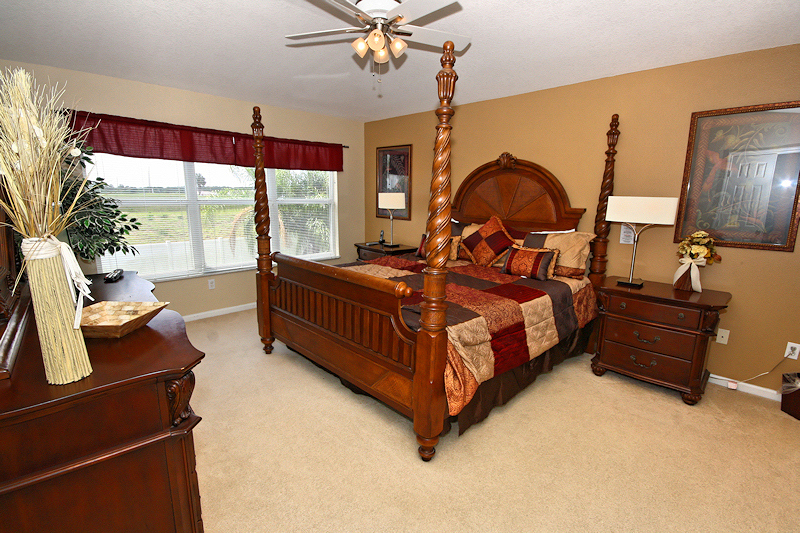 Sumptous Master Suite with 4 poster King Size Bed, rich wood furnishings and flat screen cable TV. 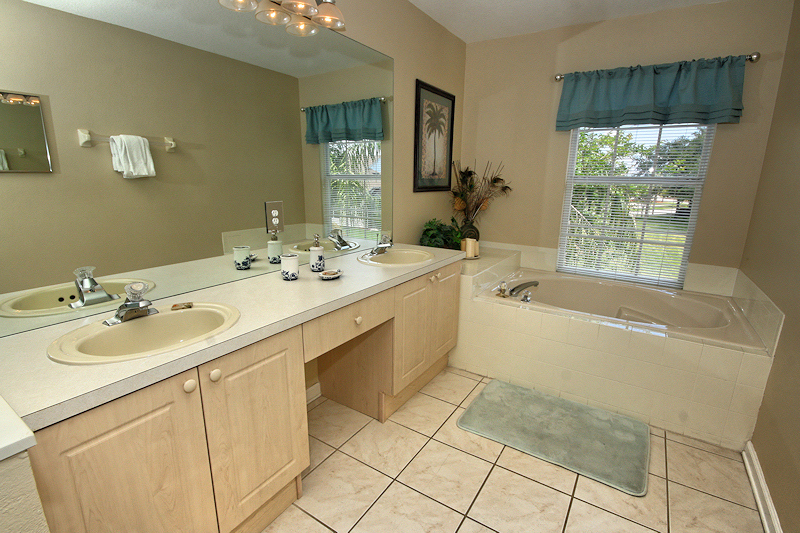 This suite enjoys a huge private bathroom featuring twin vanity units, Roman Bath, large walk-in shower and closet. 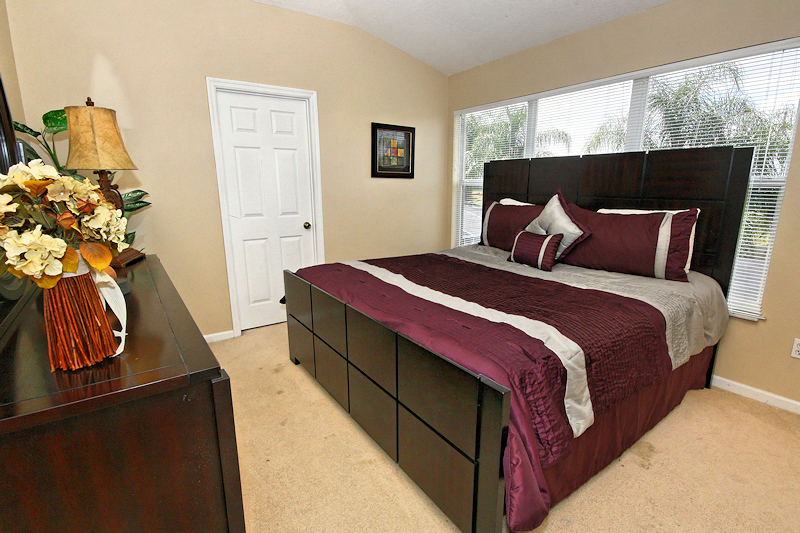 Guest bedroom with King Size, Bed, dark wood furniture and Cable TV. 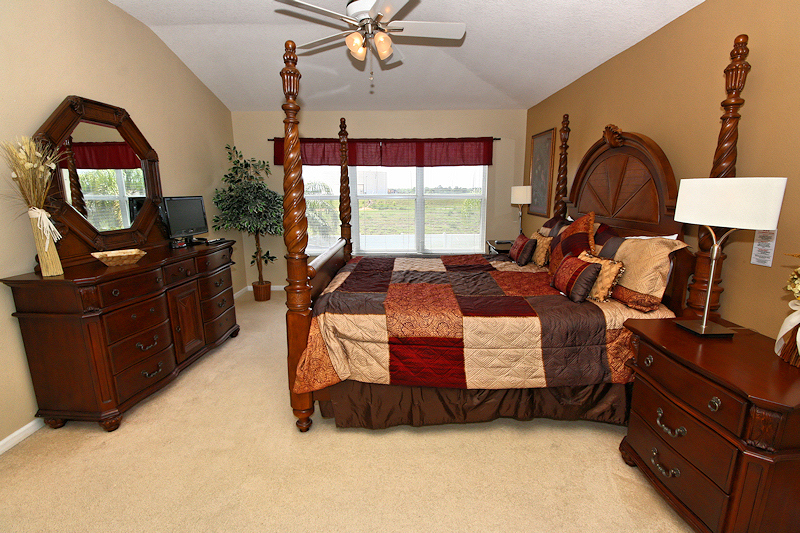 Master Suite 2 featuring a Queen Sized Bed, cable TV and private en-suite bathroom. 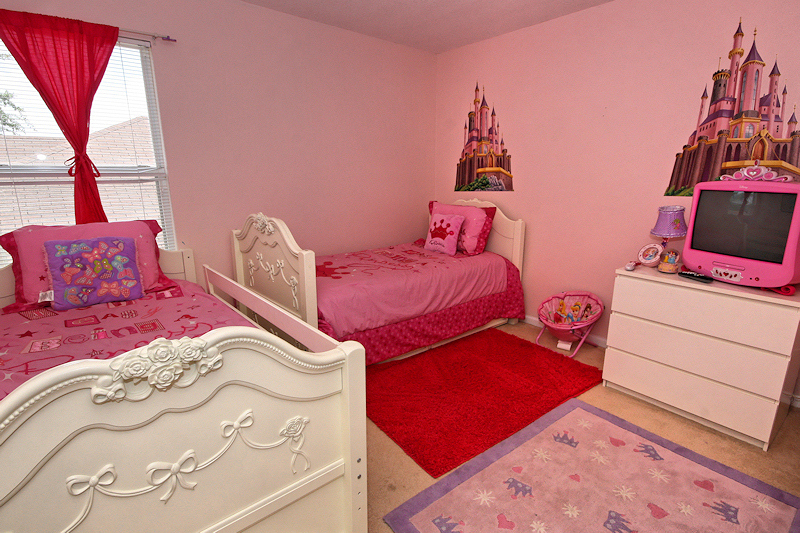 The Prncess Room, featuring Twin Beds, themed decor and Cable TV. 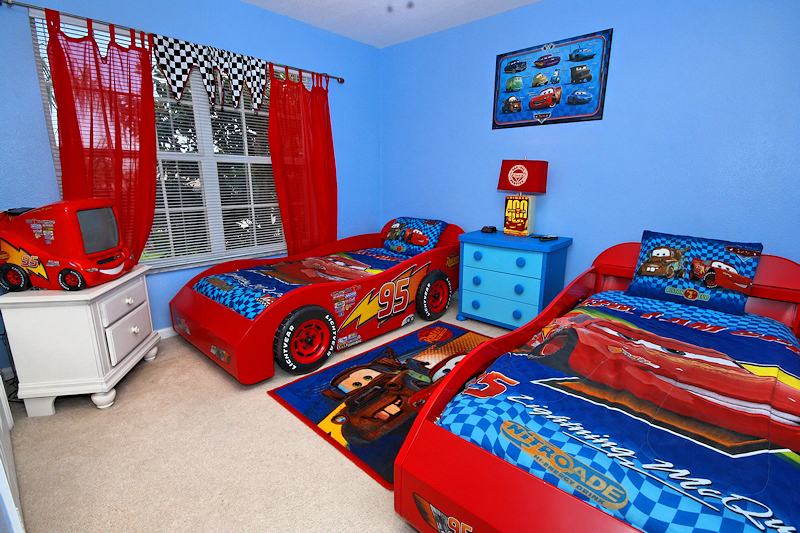 The Cars Room, featuring Twin Beds, themed decor and Cable TV. 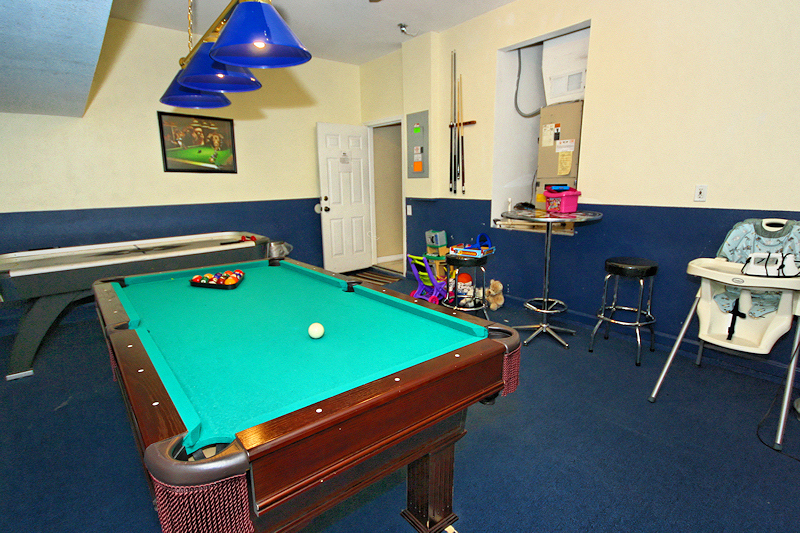 An air-conditioned game room offers American pool and air hockey tables. Other entertainment fetures include Playstation and Xbox game systems. 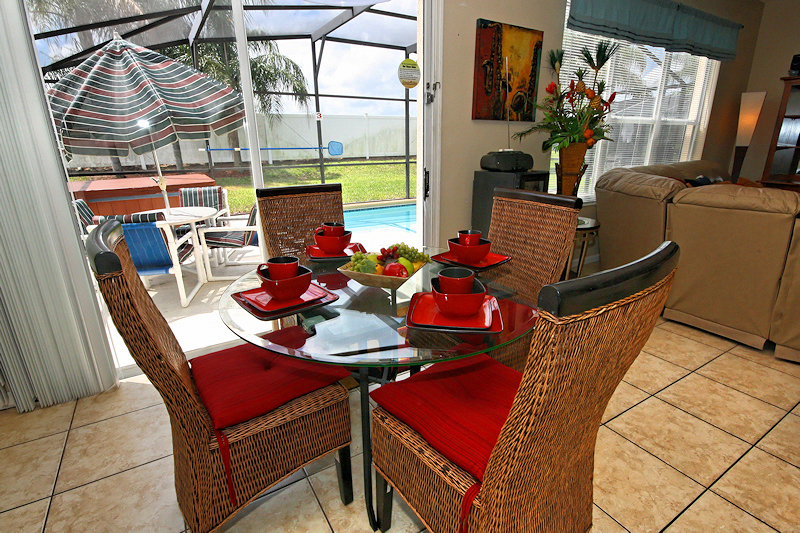 Outside, guests can enjoy the spacious deck and pool area. 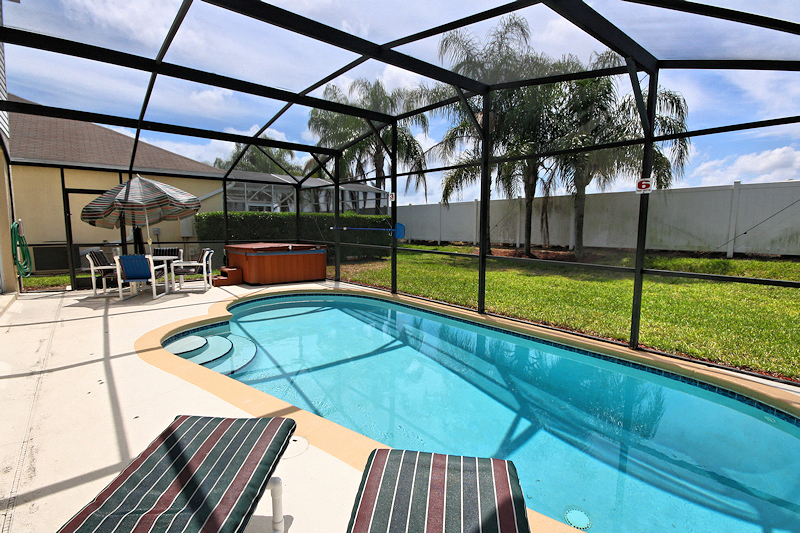 Enjoy a refreshing swim, relax in the hot tub, enjoy and alfresco lunch or simply soak up the sun. There is really no need to compromise on your vacation accommodation. 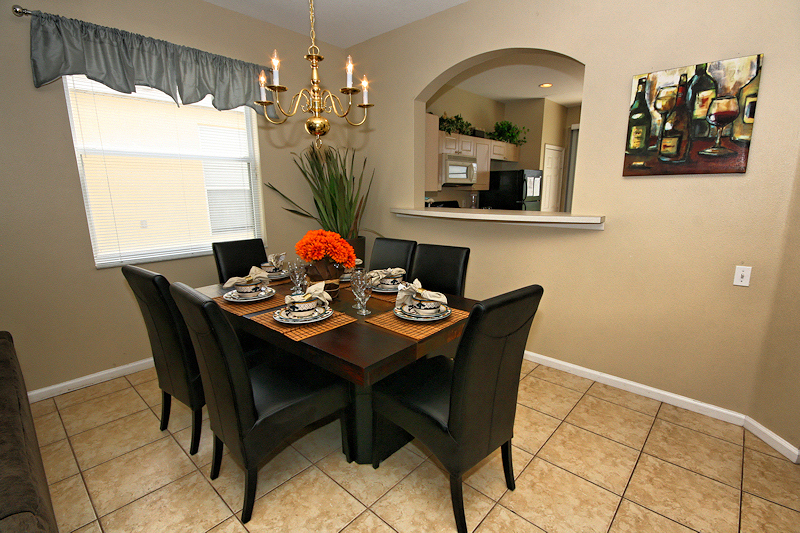 This home is equipped to make you stay an enjoyable and memorable experience.